In stock -This product will ship today if ordered within the next 3 hours and 7 minutes. 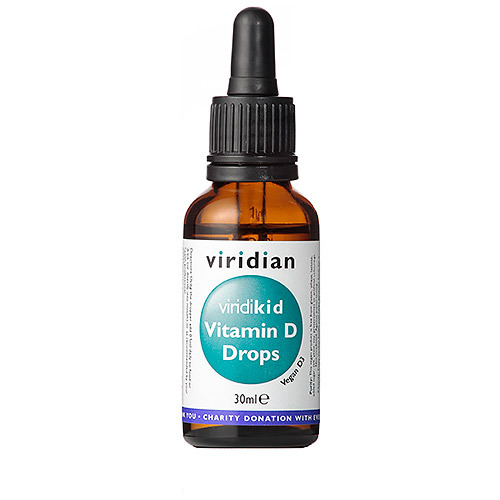 Viridian viridiKid Vitamin D is supplied in dropper bottles for quick and easy use. 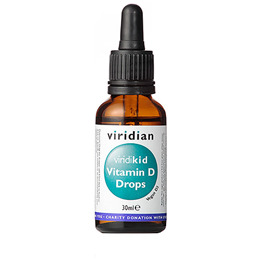 Viridian liquid vitamin D offers 400IU per 0.5ml. This is a vegan D3 source and is gently flavoured with natural orange oil giving a pleasant taste. Vitamin D is an essential nutrient which may help support the immune system. 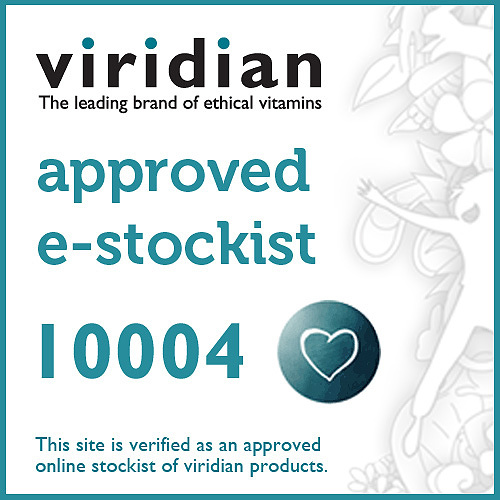 VIRIDIAN PURITY: 100% Active ingredients. This vegan product is free from gluten, wheat, lactose, added sugar, salt, yeast, soy, preservatives or artificial colourings. Non-irradiated. Against animal testing. Vitamin D3 (vegan cholecalciferol) 400IU (in a base of sunflower seed oil and natural orange oil). Using the dropper add 0.5ml daily to food or drink (or directly into mouth) or as recommended by your health professional. The ViridiKid Liquid D3 Drops are for infants aged 6 months and upwards. Below are reviews of Viridian viridiKid Vitamin D Drops 400IU - 30ml by bodykind customers. If you have tried this product we'd love to hear what you think so please leave a review.